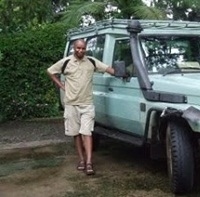 About Us - Great Tours and Safaris in Tanzania! Bush Buzz Safaris was founded in 2006 offering safaris in Tanzania. The founder and Executive Director, Emmanuel Bayo / Emanuel Kirway is a pure patriotic Tanzanian. 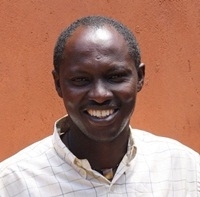 Emmanuel was born and raised at the foot of Mount Kilimanjaro on the Tanzanian side. After receiving a degree in hospitality, and accumulating tourism credentials, Emmanuel and his team, founded a trek and safari company in Arusha. He has 15-plus years of experience in the tourism industry. Both with their team create exceptional experiences, which are unique compared to other tour operators. The guiding philosophy is to provide clients with exceptionally high standards and a level of personalized service found nowhere else. Quality is important to us. We promise punctual, polite, knowledgeable, and efficient drivers and guest relation staff. Preferential treatment at hotels and lodges. Due to our large volume and relationships with the major hotel chains, we receive priority and can secure space where other tour operators cannot. Professional safari guides. We employ professional couriers to lead all safaris. Their knowledge is exhaustive and most of them possess a third language (French, Spanish, Italian, or German). Value for the money. Due to our superior buying power we are always in a position to give the most competitive quotes. If another operator offers a lower bid, it is likely that they are cutting corners. Safe and comfortable vehicles. All our Land Rovers and Land Cruisers have on board radios, game viewing roof hatches, and all seats are forward facing. Every vehicle passes stringent quality control checks before being allowed out on safari.